Jason Brown currently serves as the Chief Marketing Office for Marketplace Chaplains. He is very passionate about bringing God’s love into the workplace to care for the needs of workers and is a frequent speaker at marketplace ministries related events. Joined Marketplace Chaplains in 2002 as the first region level staff member dedicated solely to new client company development and later assumed the CMO role. Through his leadership, management, strategies and vision, he has helped lead Marketplace Chaplains to become the largest and leading workplace Chaplaincy provider in North America, realizing year-over-year double-digit growth. Today they provide care services for over 4000 work locations utilizing a team of 1600 chaplains.. He came with 25 years of sales and marketing experience which included Procter & Gamble, National Sales Manager for Wrangler Outerwear, and Computer Resale Technologies. Jason was also a professional athlete and won the 1991 World Champion Saddle Bronc Rider title, while also serving as rodeo’s National Spokesman Coordinator. Jason graduated from Texas Tech University with a degree in Marketing from the Rawls School of Business where he also co-founded the Young Entrepreneur Society. 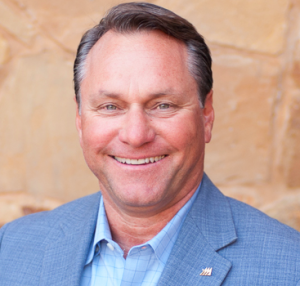 In addition to having owned and operated a successful commercial real estate business, Jason has served his community as a County Election Judge, the youth of his area as a US Lacrosse Level II Certified Coach, a Bassmaster Captain and President of Rockwall-Heath Lacrosse and was active on the Board of the DFW Lacrosse league. He currently serves on the Board of Directors for The Last Well, and was also an elected Board Member of the Dallas Athletic Club serving as Secretary and also Chairman of the House, Social and Long-Range Planning Committees.